Sitting high on the banks of the Mekong, the UNESCO listed city of Luang Prabang deserves every bit of praise it receives. Luang Prabang is a charming city, filled with beautiful wooden guesthouses and clean, tree-lined streets. 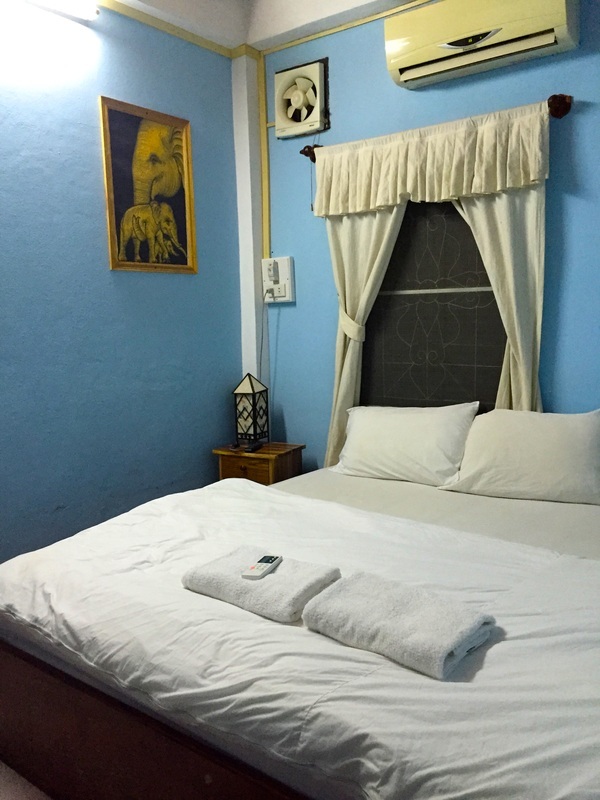 The National Museum and Mount Phousi are within 10 minutes of Saisamone Guesthouse. The daily markets are filled with vendors selling exotic fruits, vegetables and spices and by night they transform into a Walking Street market for handicrafts, clothes and other local wares. Saisamone Guesthouse sits directly across the road from the Mekong River, and a mere two streets away from the day and night markets. This two-storey building provides a variety of rooms with air-conditioning, T.V and private bathrooms. They offer complimentary tea, coffee and fruit and there is also a water fountain, available for guests. The room itself was simple and clean, however it lacked natural light as the windows were shuttered closed. I believe the upstairs rooms all have opening windows however we weren’t concerned enough to change rooms. There is also a small communal balcony upstairs and a lovely little patio downstairs. The Wi-Fi worked well in our room. The owners also provide a laundry service and are able to book minibuses to Vang Vieng or Vientiane at a fair price. 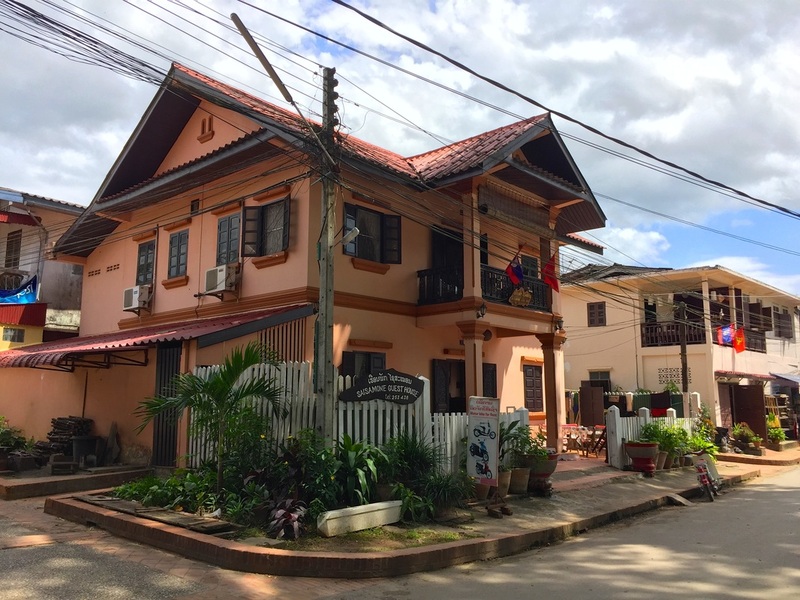 Hotels and Guesthouses in Luang Prabang are significantly more expensive than other parts of Laos, however bearing this in mind Saisamone Guesthouse was good value for this city.